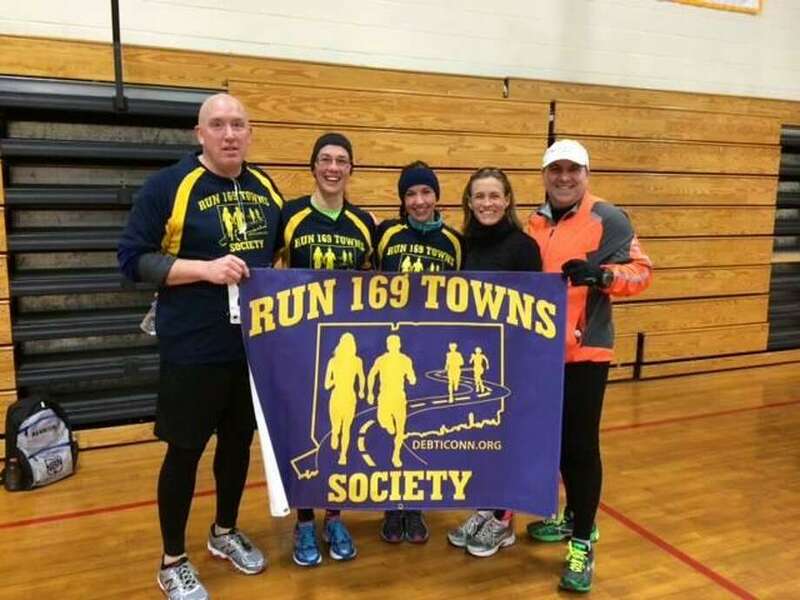 Fairfield’s Mary Paglialunga, second from right, poses with other runners with the Run 169 Towns Society banner, a group created to compete in a road race in every town in Connecticut. It was March of 2012 when the first meeting of www.debticonn.org - Do Every Blessed Town in Connecticut - took place. Since its formation some six years ago, thousands of runners have joined the club, looking to run a road race in every one of the state’s 169 towns and villages.